The first question that arises in our mind is, what exactly is a smart city? Well, there is no particular definition for smart city. The definition of smart city varies from person to person, cities to cities and country to country depending on the development and willingness to change and aspirations of the residents. Smart city has different goals in India as compared to other countries, say USA or Singapore. Smart city is represented through four pillars: institutional, social, physical and economic infrastructure. 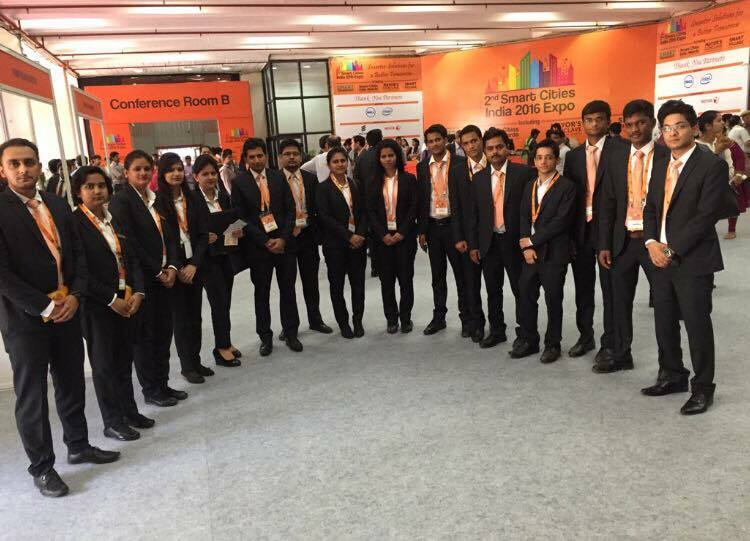 The 2nd smart city conference was recently held in Delhi at Pragati Maidan, and we as INLEADers got a chance to be a part of the insightful conference. During the conference, we came to know about the entire Smart city project and how it aims to make 100 cities smart. The main focus area of this conference was water and waste management, environment, IT & communications, security and safety, disaster management, smart education, smart health, smart multi- model transport, clean energy, smart building. Mr. Suresh Prabhakar Prabhu (Railway Minister of India). 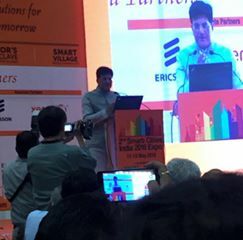 According to him, “there are two important things that should be maintained - natural resources and energy.” He said that under the smart city project stations will be redeveloped and that the people would get smart railways. Commenting on the expo, Ravinder Pal Singh, Director, Solutions Strategy & Business Development, (IoT, Smart Cities & Digitization) Dell India, said “smart work has to be done in order to improve the technology. And has to have open architecture and scalability.” For smart city, people also have to become smart and consider that it is their duty to keep their city clean as their houses. He also said that government should keep record of everything. One example he cited was of GIS meter which is used to control water flowing. Meenakshi Lekhi (Member of Parliament, Lok Sabha, India) pointed some very important facts in order make a city smart and sustain it. As, in terms of financial structure, utility based model, waste management model, water management, education system, infrastructure. She said that without making any strategy regarding these terms, the goal of making cities as smart city cannot be achieved. 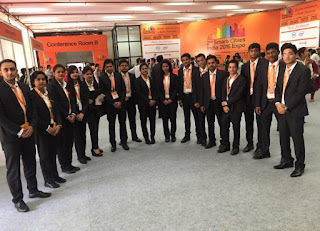 To demonstrate huge international interest towards India’s mission of Smart Cities, the expo hosted 4 individual countries Holland, Poland, Sweden, and Taiwan and participants from 40 other countries. H.E. Mr. Chung-Kwang Tien (Ambassador to India, Embassy of Taiwan) gave example of some of the technology and facts about Taiwan which might be introduced in India as well such as “smart water meter” which gives the information about water quality and its usage. Also the information is connected to cloud for easily access. Other example was of usage of LED in traffic lights. Thus Taiwan will help India in terms of technology. H.E. Mr. Harald Sandberg (Ambassador to India, Embassy of Sweden) focused on renewable energy and sustainable urban development. He also gave the information that 15 Swedish companies are participating in smart city project to work in areas of solar energy, water, traffic, parking, biogas, etc. The three-day expo comprised an exhibition with 325 national and international companies showcasing trends and technologies for integrated smart city management. The exhibiting companies include leading multinationals to innovative start-ups - Dell International, Xerox, Ericsson, 3M India, Berger Paints, Godrej Security, Grundfos Pumps, Millenium Semiconductor, Tata Projects, Volvo, Yamaha, etc. offering solutions for smart cities India. I heard out all speakers and found myself agreeing with all of them at some level. Going further, we the future of our country, should be closely associated with the concept of Smart Cities. The future lies in technological innovation, and what better way than participating in your own country’s technological evolution.